Dallas Jewish Federation’s new education department director is the straight line between two small, gone-but-not-forgotten Jewish communities — one in Texas, the other in Slovakia. His life is what these tiny dots on the map have in common. The once-thriving Jewish community of Wharton, Texas, came to an official end more than six years ago, when the synagogue in which Denn grew up shut its doors. A similar Jewish community in Certizne (pronounced Cher-TIZ-nee), Slovakia, died some 60 years ago, when the Holocaust claimed Denn’s great-grandfather as the town’s oldest victim. It’s an irony that educational success killed Jewish life in Wharton, about 50 miles southwest of Houston, as it has in so much of small-town America. Denn, 46, with his multiple college degrees, symbolizes that success: Early peddlers’ children became proprietors of shops that, later, their own, better-schooled children would not choose for their life’s work, instead leaving their roots behind to undertake new, professional ventures in big cities. The final nail in Wharton’s symbolic Jewish coffin was driven on April 26, 2002, when the 39 remaining members of Shearith Israel synagogue — which once had 400 worshippers, but gradually shrank to this true “remnant of Israel” — gathered in their shul for the final Shabbat service of a 100-year-old congregation. It’s a similar irony that the memory of a deceased Slovakian Jewish community will be reclaimed with honor on site next Thursday, before an extraordinary gathering of survivors and their descendants. Chief among them: Meyer Denn, whose abiding interest in family genealogy was instrumental in making this happen. “I’ve been in touch with family members over years of doing research,” says Denn, a dedicated amateur genealogist. In the recent past, he contacted all of them again about this very special event. Coming together because of his efforts will be “two cousins from Houston, plus relatives and landsmen from all over the world” — about 50 in all, from Israel, England, Belgium, Holland and Austria as well as the United States. 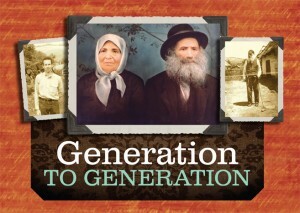 An incredible reunion of Jews in what has been a community without Jews for over six decades. The dedication of a memorial to the area’s Holocaust victims is the full-grown flowering of a seed of curiosity, planted and nurtured by Jan Hlavinka, a young non-Jew of Medzilaborce (pronounced Med-zee-la-BOR-tze) County, Slovakia, where the village of Certizne is located. His interest in the area’s Jewish history was piqued when he learned that his great-grandmother had once been a servant in a Jewish home in Medzilaborce, the nearby city that bears the county name. When her small son became seriously ill, the head of the household where she worked arranged for the medical treatment that saved the boy — who lived to become Hlavinka’s grandfather. After also learning that “the whole infrastructure of the town was Jewish,” according to Denn, Hlavinka went to work for the Slovakian Institute of National Memory, whose business is identifying and documenting the persecution of minorities under both Fascist and Communist regimes. When he located Denn through the Internet, Hlavinka received the crucial information that enabled him to write “The Tragedy of the Jews of Medzilaborce County.” His book was published in January of this year. “My grandparents’ generation first settled in Wharton at the turn of the 20th century,” Denn says, “and helped create what was, from the 1920s until the late 1960s, a very vibrant Jewish community.” But his great-grandfather, Mordcha Schwindler, refused to join his six children as, one by one, they left for America. That monument will be dedicated next Thursday afternoon. Denn has made five previous trips to this place at the border of Galicia, a part of the Austro-Hungarian empire during the Holocaust years, This time he will speak there, representing the area’s post-Holocaust generation. The event will begin with a welcome by Mayor Ladislav Demko, after which author Hlavinka will speak on “Jews in the History of Medzilaborce.” Then there will be a special bestowal of honorary citizenship on all survivors and descendents of the town’s former Jewish population. Next will come speeches by Dusan Caplovic, deputy prime minister of the Slovak Republic; Zeev Boker, Israel’s ambassador to Slovakia; and Pavel Traubner, Ph.D., honorary president of the Central Union of Jewish Religious Communities in Slovakia. Then, immediately before actual dedication of “The Memorial for the Victims of the Holocaust from Medzilaborce and Surrounding Communities,” a prayer will be offered by Rabbi Jossi Steiner of Kosice, Slovakia, who is bringing a kosher Torah with him. The monument will be symbolically accepted by Holocaust survivor Pinchas Mendlovic, now of Tel Aviv. Then Denn will speak, after which his cousin, Chazan Larry Josefovitz of Cleveland, will chant Kayl Maale Rachamim in memory of the area’s martyrs. Josefovitz is the grandson of Leib Wolf Freund, once shammes and gabbai of the Medzilaborce shul. Kaddish will be recited by another Denn relative, Holocaust survivor Jack Joseph of New York City. Mayor Demko will host a hotel reception after the dedication. 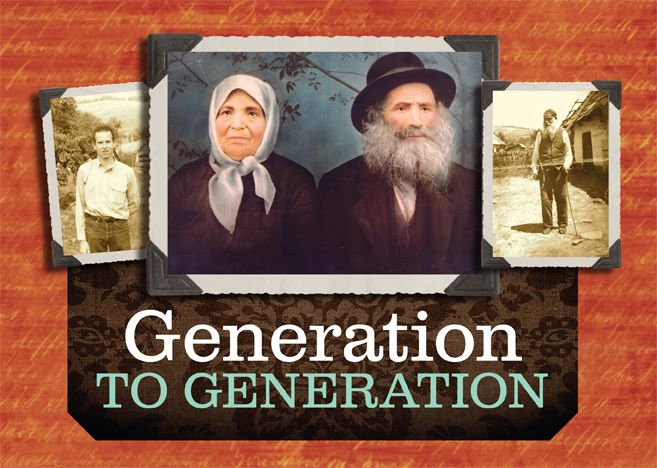 And over the weekend to follow, the survivors and their descendents will be together for Medzilaborce’s first Shabbat observance in some 60 years. Ironically, this will probably also be — because there are now no Jewish residents at all in the area — the last Shabbat ever celebrated there. Connecting more dots, Denn sees special significance in the fact that this particular Shabbat will also mark Rosh Chodesh Av, beginning the days of mourning that precede Tisha B’Av and its painful remembrance of major destructions in Jewish history. Perhaps this calendar conjunction is the greatest irony of all. Meyer Denn has arranged a post-dedication activities program that encompasses Shabbat. It will begin early on Friday morning, Aug. 1, with a trip to Certizne, the nearby village where the Josefovics, Schwindler and many other Jewish families originated. There the group of survivors and descendents will visit the cemetery and sites of the old shul and mikvah, then go on to other towns or back to Medzilaborce, wherever family connections are strongest. In the evening, Chazan Josefovitz will lead Kabbalat Shabbat and Maariv prayers. The kosher Shabbat dinner will be prepared by Chabad of Central Slovakia. On Saturday, Aug. 2, there will be Shacharit services and Torah reading followed by a Kiddush luncheon, Mincha followed by Seudah Shlisheet (the third Sabbath meal) and Maariv followed by Havdallah. Afterward, survivors and their descendants will spend the evening sharing memories of the people who once lived in the Medzilaborce area and telling stories about events of the past. A memorial service at the city’s Jewish cemetery — whose 400 stones are all intact — will mark Sunday morning’s final farewell. An interesting sidelight: Medzilaborce is the ancestral home of the Warhola family, whose most famous member is the late American artist Andy Warhol. The curator of the town’s Warhol Museum — which has the largest collection of the artist’s works outside of the Warhol Museum in Pittsburgh, Pa., his United States home — will lead a private tour and discuss Warhol and his works with any interested visitors while they are in town. how can I get in touch with Meyer Denn? My famiy came from Certizne, albeit in the late 19th century, but I have been trying to research the geneology. I am a non-Jew, but I am interested in understanding the history of jewish life in that village.